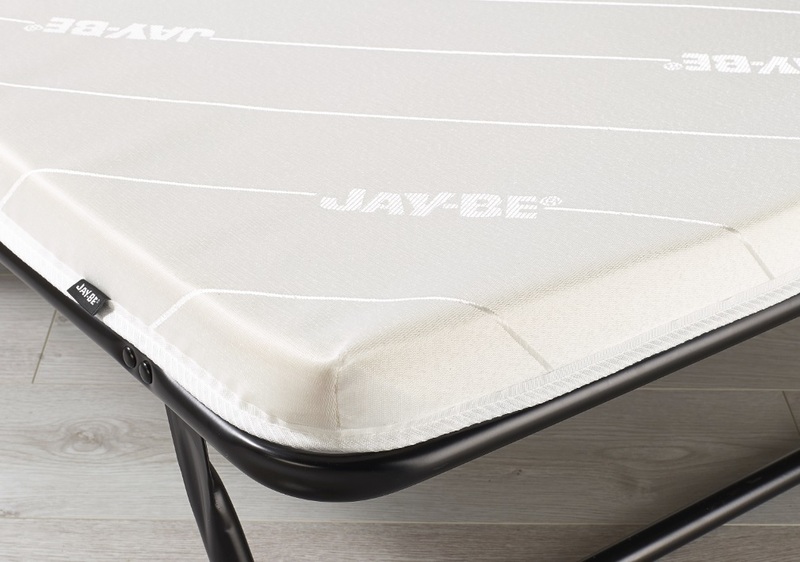 The convenient Jay-Be Value Memory Foam Single Fold Up Bed is lightweight, easy to use and offers the extra benefits of a memory foam mattress. 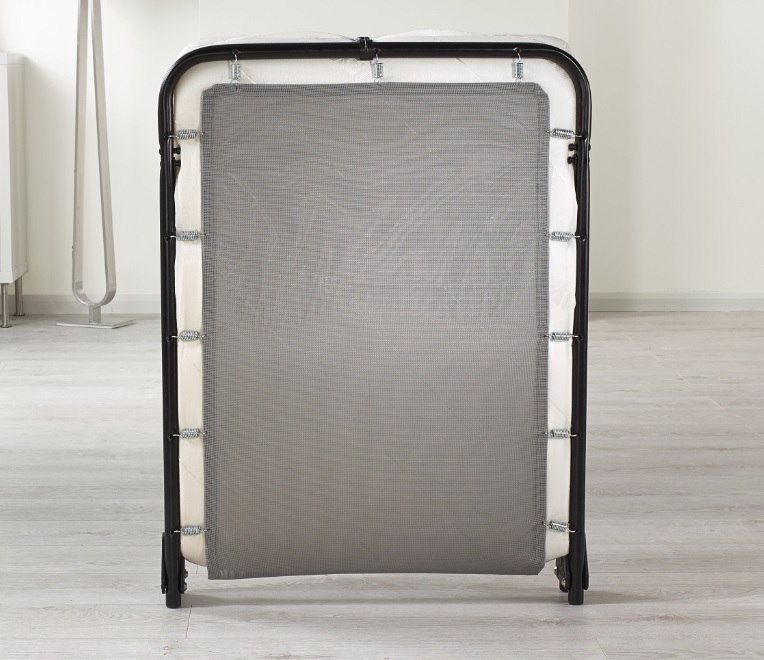 Its compact design means it can be stored just about anywhere, under a bed, in a wardrobe or even the boot of a car, making it a perfect portable guest bed solution. 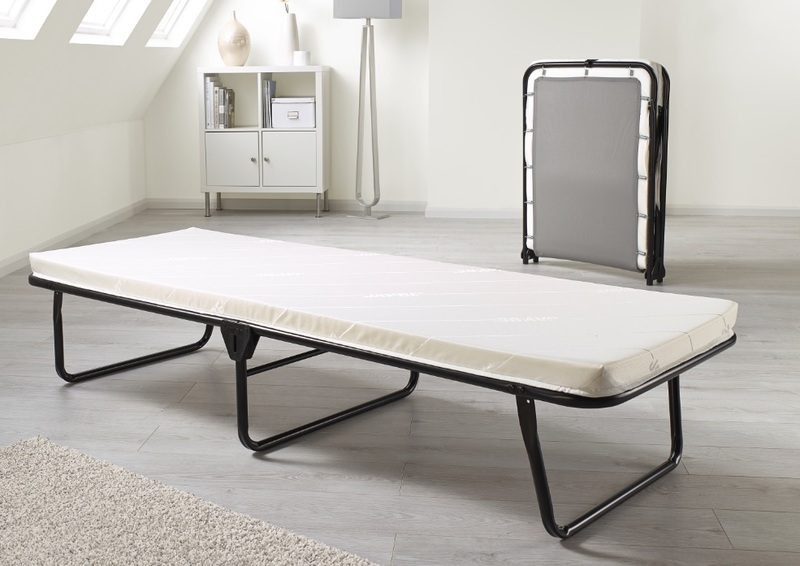 Easily folded out in seconds, the memory foam mattress works in harmony with the J-Tex sprung base system to provide pressure relieving support and comfort. A fantastic bed in every way together with brilliant customer service and delivery from SlumberSlumber. The bed arrived promptly and I was kept well informed of the progress from the company. The bed was incredibly simple to assemble; slip the mattress out, unfold bed and place matress on top. The frame is solid yet light. 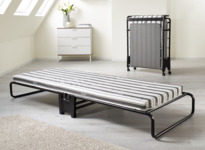 The stretched fabric base allows a comfortable nights rest without being poked by wooden slats. The matress is not thick, quite the contrary, yet it's surprisingly comfortable given being supported on a fabric base. 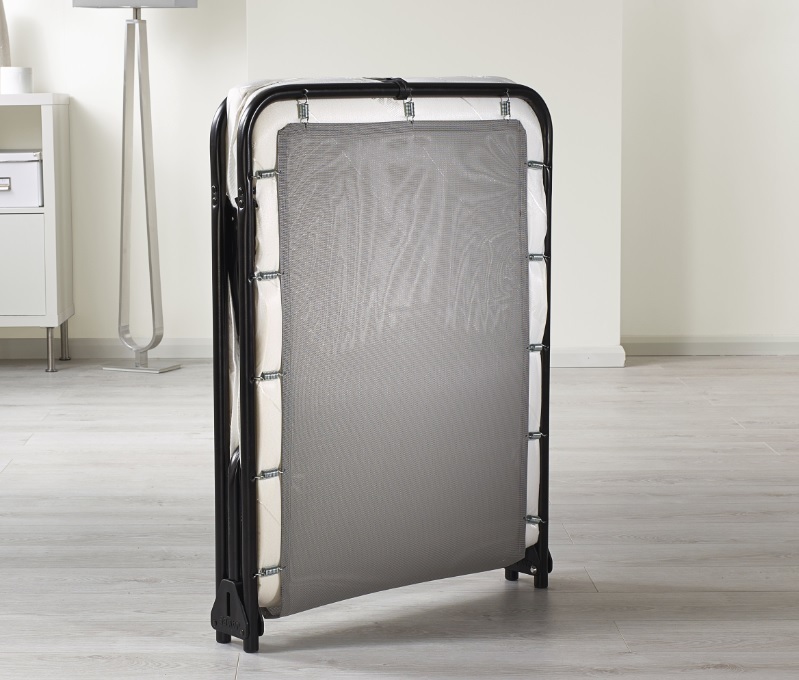 Overall, the product allows a very comfortable nights sleep, far superior than one would expect from such a lightweight and compact bed. 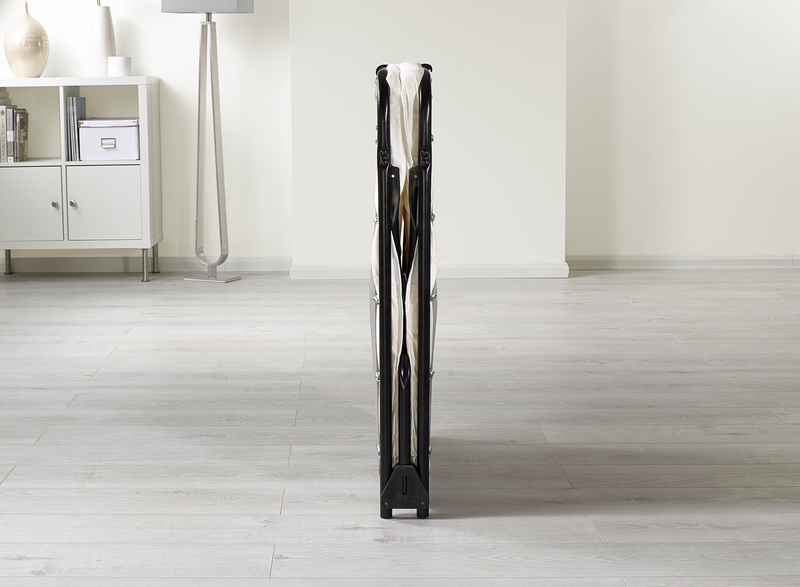 The best feature for me is the compact storage; it folds down to such a small width that it can simply be slipped under your bed or in a wardrobe without being unsightly or obtrusive. I certainly would recommend. I'm looking for fitted sheets for this bed before I purchase, and need to know the depth of the mattress. It's for occasional use by grand child. What Is the folded size of this bed. Is this product safe for unsupervised use in a child's bedroom? 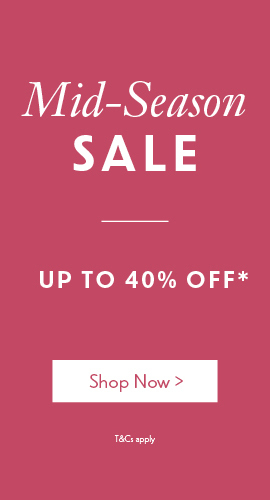 Yes this item is suitable however we would stress that the item should not be jumped on at any time.